Here at Essex Chambers of Commerce we work closely alongside a variety of Businesses throughout the County. We know that for growing Businesses, establishing an effective Human Resource process can be incredibly challenging. HR can be very time consuming and day-to-day requirements can become a distraction for Business Leaders. Completing paperwork, writing content for HR documentation, adhering to Employment Law, processing holiday requests – the demands are extensive and can often become too much, especially for SMEs. Essex Chambers of Commerce are therefore pleased to announce as part of our new Industry Standards Benefits to Members, our latest partnership with Practical HR. Based in Great Wakering, Practical HR has been providing HR Services since 2002. The Company are now proud to present their latest service, YourHR.space. YourHR.space provides an online platform – but with a difference. HR documentation is first written and tailored to your organisation. It is then fully managed and updated by HR experts. This gives you peace of mind that your organisation will always be up-to-date and compliant with the latest employment law. In addition, there are a range of tools and information at your employee’s fingertips, so they can request holidays and access information they need. The purpose of YourHR.space is to offer businesses a solution that makes day-to-day HR simple and stress-free. The service can run alongside and complement any existing HR or Employment Law Support Services you are currently using, to ensure your HR is truly tailored to your business. Being compliant with current Employment Law is essential, as rules and regulations around employment change and evolve continuously. There are also changes in social trends and decisions from case law that need to be incorporated into your Company rules. For example, no-one needed policies on social media and e-cigarettes a few years ago! Very shortly organisations will need clear policies to cover GDPR (General Data Protection Regulations) and will need to update associated policies. As experts in our field, the YourHR.space team can anticipate and implement necessary changes as and when they are required, making the service an excellent risk management solution. 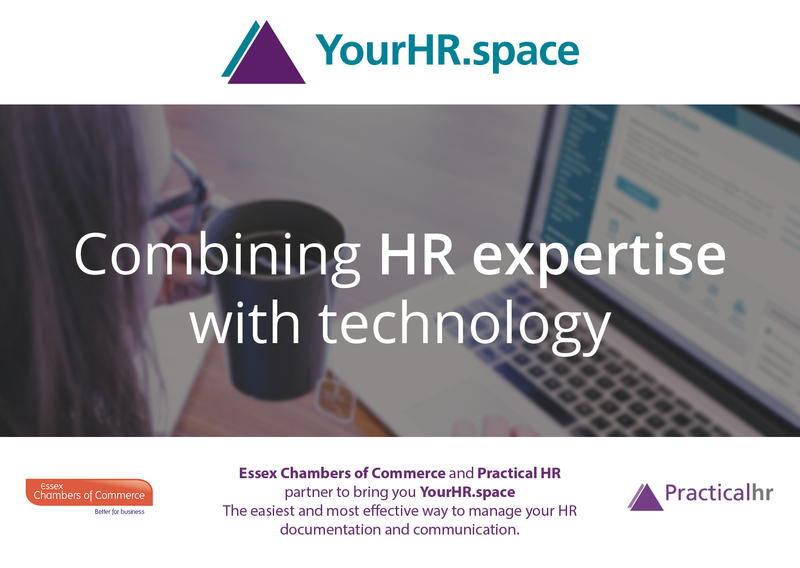 Employers should be able to focus on the growth and development of their business, which is why YourHR.space is a managed service where everything is updated for the business. The HR experts will write any new content, revise your policy documentation and communicate any changes to employees accordingly. The platform hosts a variety of features that make day-to-day HR accessible for Employees. This includes a holiday request system, a holiday counter, new starter forms, self-certification and access to Employment Policies, Standards and Codes of Conduct. With the ability to log in from anywhere, Employees can complete forms and manage their holidays without referring to Management first. Once Employees have completed a form, Managers can log-in to a separate area of the platform to review and confirm the submissions. If there are any issues, Managers can communicate these to Employees through the platform. With direct access to internal employment facts, processes and policies, Managers can review and complete any HR requirements quickly and effectively. 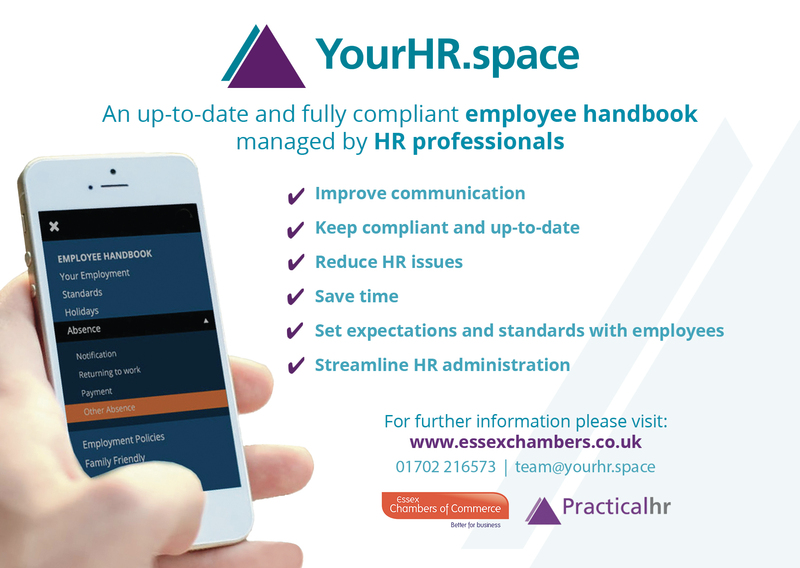 If you are a Member interested in implementing a HR Management Platform in your business, please visit https://yourhr.space/essexchambers/ or speak to the Team on Tel: 01702 216573 to arrange a demo.